Brand new month, brand new year! And while December was busy, January has slowed slightly. 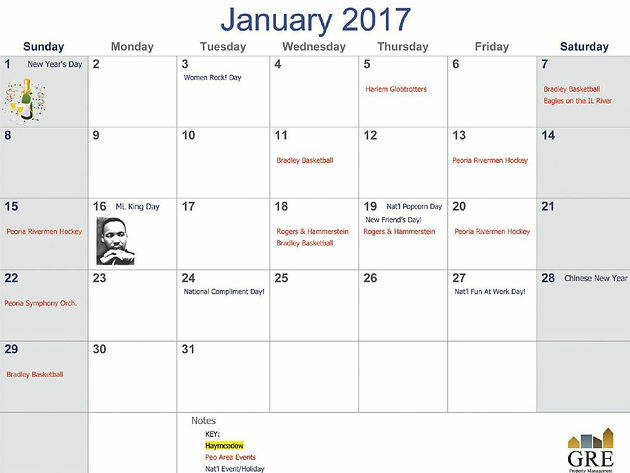 So whether you&apos;re looking forward to National Compliment Day or catching a Rodgers and Hammerstein performance, you can keep track of it on all the January Events Calendar! Don&apos;t forget, if there is an event you&apos;d like to see added for any month or an event you&apos;d like to host, email us at contact@grerentals.com!